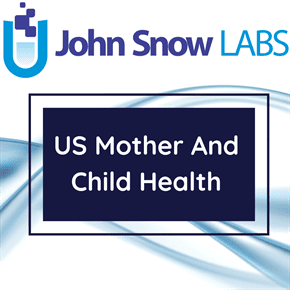 This dataset contains information on the number of live births, birth rates and fertility rates by race of mother from 1960-2013 published by National Center for Health Statistics (NCHS). In the United States, State laws require birth certificates to be completed for all births, and Federal law mandates national collection and publication of births and other vital statistics data. The National Vital Statistics System, the Federal compilation of this data, is the result of the cooperation between the National Center for Health Statistics (NCHS) and the States to provide access to statistical information from birth certificates. Standard forms for the collection of the data and model procedures for the uniform registration of the events are developed and recommended for State use through cooperative activities of the States and NCHS. NCHS shares the costs incurred by the States in providing vital statistics data for national use. All birth data by race before 1980 are based on race of the child; starting in 1980, birth data by race are based on race of the mother. National data on births by Hispanic origin exclude data for Louisiana, New Hampshire, and Oklahoma in 1989; New Hampshire and Oklahoma in 1990; and New Hampshire in 1991 and 1992.